Turn to the termite treatment specialists at Kilter Termite and Pest Control if you suspect you have an infestation in your home in Laguna Beach, California. It doesn’t take long for termites to cause extensive damage in a home. At Kilter, we provide a no-risk, no-obligation way to assess termites in your home. Simply contact us, and we’ll perform a complimentary consultation along with an accurate quote for treatment. Effective – We guarantee that our system will eliminate both drywood and subterranean termites and prevent them from returning. Convenient – Because it doesn’t involve noxious odors or fumes, our treatment system allows you to remain in your home while treatment takes place. 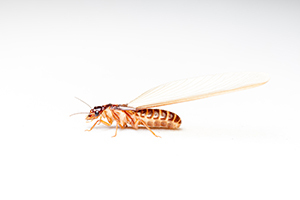 Kilter’s termite treatment system is installed by our own team of highly experienced technicians who will develop a treatment plan that is customized to your needs to achieve long-lasting results. Additionally, if termites have damaged any areas of your home, we can help with repairs. Our team includes expert craftsmen who can seamlessly replace damaged wood, returning your home to its original condition. For more information about the termite treatment services that Kilter Termite and Pest Control provides in Laguna Beach, CA, contact us today.